I am very excited about the annual Colorado Teen Literature Conference this weekend in Denver. The Colorado Teen Literature Conference is a yearly event held in Colorado to promote and celebrate teen literature. The conference offers diverse sessions thanks to the willingness of knowledgeable librarians, teachers, authors, and teens who share their expertise for the event. Here is a list of the Keynote Speakers and the Local Author Panel. A.S. King is the award-winning author of young adult books including highly acclaimed Reality Boy, the 2012 Los Angeles Times Book Prize winner Ask the Passengers, Everybody Sees the Ants, 2011 Michael L. Printz Honor Book, Please Ignore Vera Dietz and the upcoming Glory O'Brien's History of the Future. King’s short fiction for adults has been widely published and nominated for Best New American Voices. After fifteen years living self-sufficiently and teaching literacy to adults in Ireland, she now lives in Pennsylvania. Find more at www.as-king.com. David Levithan finds it downright baffling to write about himself, which is why he's considering it somewhat cruel and usual to have to write this brief bio. The factual approach (born '72, Brown '94, book '03) seems a bit dry, while the emotional landscape (happy childhood, happy adolescence --- give or take a few poems --- and happy adulthood so far)sounds horribly well-adjusted. The only addiction he's ever had was a brief spiral into the arms of diet Dr Pepper, unless you count MY SO-CALLED LIFE episodes as a drug. He is evangelical in his musical beliefs and deathly afraid that his bio will end up sounding like the final paragraph in an on-line dating ad. He is the author of many books including Boy Meets Boy, Nick and Norah's Infinite Playlist, Will Grayson,Will Grayson, Every Day and Two Boys Kissing to name a few. When David is not writing during spare hours on weekends, he is a publisher and editorial director at Scholastic, and the founding editor of the PUSH imprint, which is devoted to finding new voices and new authors in teen literature. (Check it out at www.thisispush.com for a full list.) Among the authors he's edited and/or published under the Scholastic Press imprint are Suzanne Collins, Maggie Stiefvater, Ann M. Martin, Garth Nix, Patrick Carman, Natalie Standiford, Alice Hoffman, Gordon Korman, M. T. Anderson, Blake Nelson, Cecil Castellucci, and many, many other awesome writers. For more about David, go to his site. Make sure to check out the Frequently Asked Questions and Infrequently Asked Questions. Each year, Colorado authors participate in the Conference, hosting a Local Author Panel. Alane Ferguson was born in Cumberland, Maryland, moving at the age of eight to Salt Lake City, Utah, where she attended the University of Utah and Westminster College, studying journalism and psychology. Alane became interested in writing for children mostly, she says, to follow the example of her mother, successful author Gloria Skurzynski. Alane and her mother co-authored a series for National Geographic, which is currently in development for NatGeoKids. Their novel, WOLF STALKER, was nominated for the 1998 Mystery Writer's of America's Edgar Allan Poe Award. A recipient of the 1990 Edgar Allan Poe Award as well as the Belgium's Children's Choice Award for her young adult novel SHOW ME THE EVIDENCE, Alane was also an Edgar nominee for her third young-adult mystery, POISON. She received a 2007 Edgar nomination for her young adult novel, THE CHRISTOPHER KILLER, the first in the Sleuth Forensic Mystery series, currently under option helmed by television veteran David Ehrman. Alane won the Children's Crown Classic Award for CRICKET ANDTHE CRACKERBOX KID, the American Bookseller's Association's "Pick of the List" for her picture book entitled THAT NEW PET, and has been on numerous ALA Recommended Books for Reluctant Young Readers and Young Adult's Choice list, and has been a Young Adult judge for a national competition in 2014. Now completing her thirty-fifth book, she currently lives in Elizabeth, Colorado. Anastasia Zhivotov, a first generation Russian teenager, was born and raised in Colorado. Recently she self-published a poetry-fiction novel about stress and its lead into addiction within the upcoming generation titled Alice in Reality. While furthering her career, she hopes she can writing more thrilling stories messing with the psyche. When she’s not off running her world, she plans trips to go around our world. 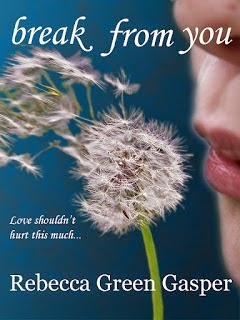 Rebecca Green Gasper is the author of young adult fiction. Her debut novel, Break From You, focuses on teen dating abuse. She is passionate about raising awareness on teen tough issues and speaking out against teen violence. Before becoming a writer she was a high school special education teacher, working primarily with students with emotional disabilities. She has also worked as a tutor and coach. 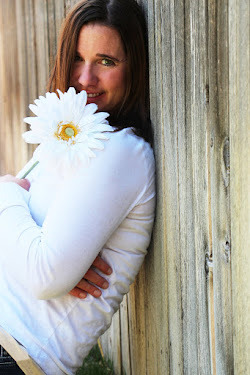 She loves pinwheels, bright colors, daisies, long talks with friends, and time with her family. She grew up in the mountains of Colorado and now lives outside of Denver with her husband and two children. Rebekah Crane fell in love with YA literature while studying Secondary English Education at Ohio University. After having two babies, living in six different cities, and finally settling down in the foothills of her beloved Rocky Mountains, her first novel, Playing Nice, was published. 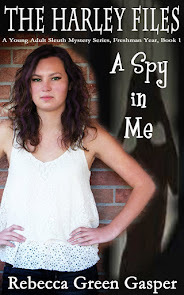 Aspen, her second YA novel, set in Boulder, CO, is due to release in spring 2014. She now spends her day carpooling kids or tucked behind a laptop at 7,500 ft high in the Rockies, where the altitude only enhances the experience. I am so excited to be part of the conference this year! I can't wait to update everyone on how it went.